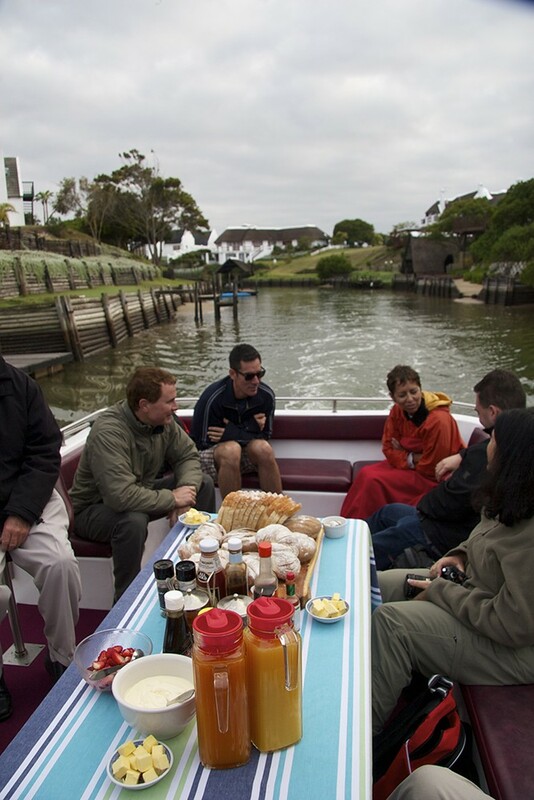 Canal and River Cruises are the highlight of most visitors to St Francis Bay and can be booked with Brisan on the Canals. 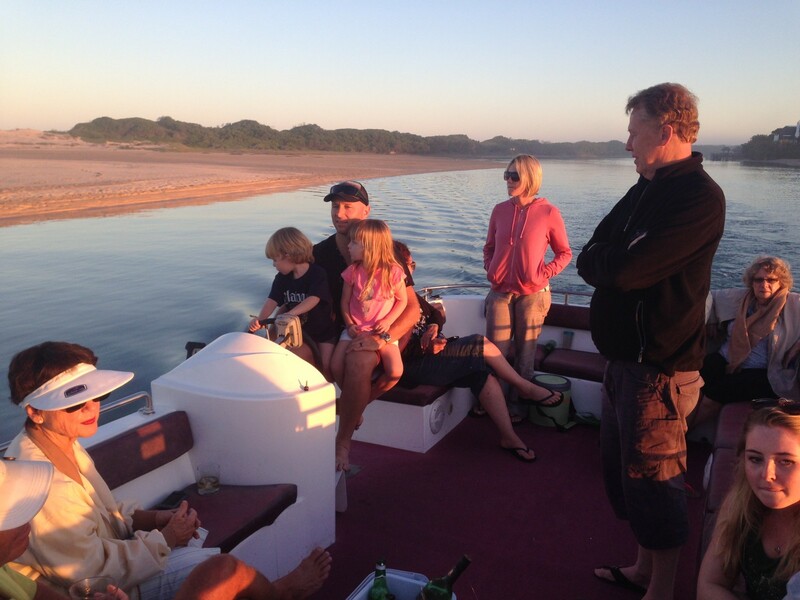 Cruise the The St Francis Bay canals with it's uniformity of the style which lends itself to the graciousness of the area, every house is individual and commands attention. 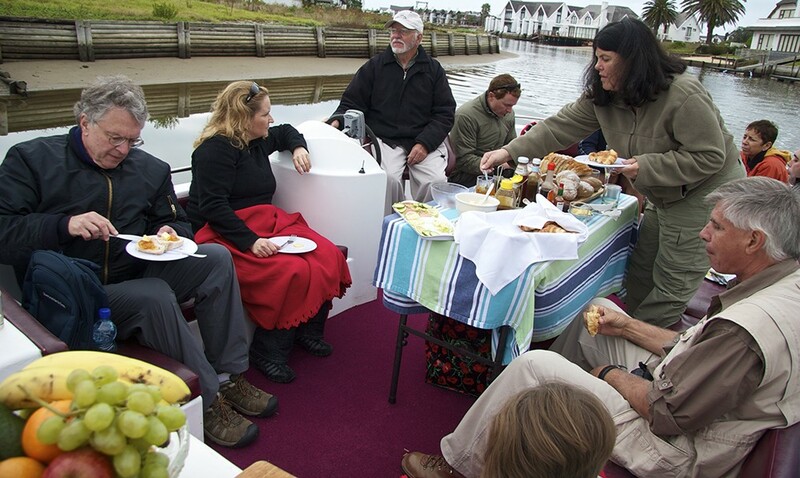 Cruises on the Kromme River will take you upstream for you to enjoy the river's beautiful surroundings and bird life while sitting back and relaxing. 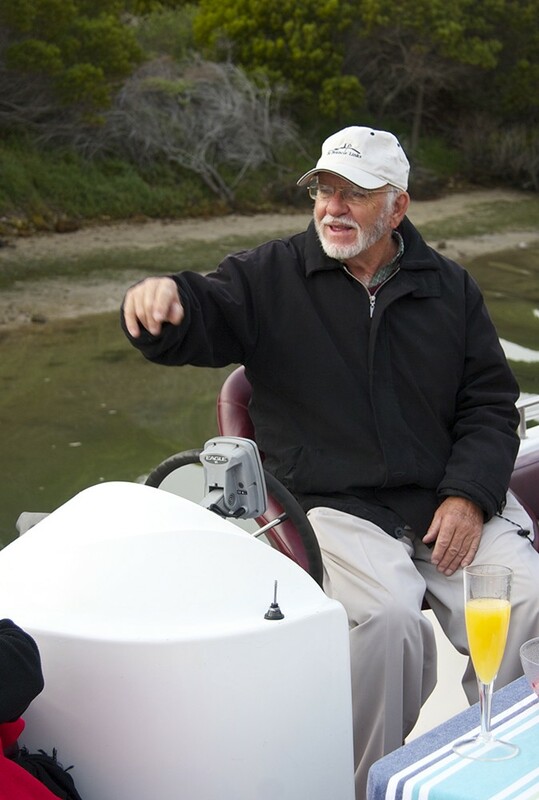 Both Brian and Sandy have ‘Skippers Tickets’ and have been cruising the canals and river for many years. 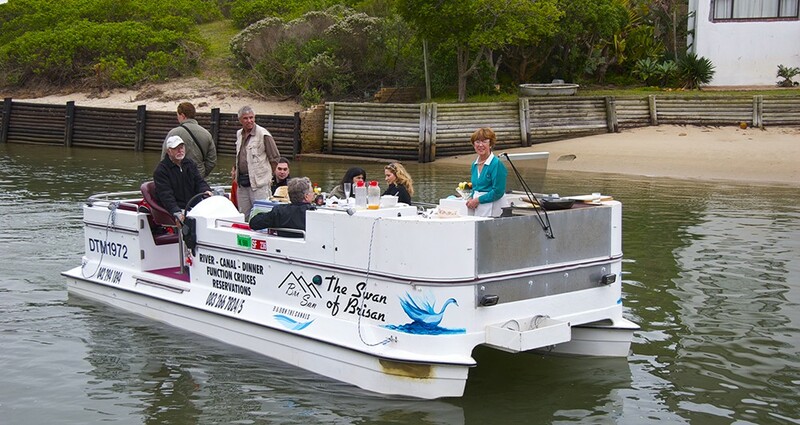 Our pontoon boat, The Swan of Brisan, is equipped with a gas griller in order to prepare a delicious meal or light refreshments while cruising. 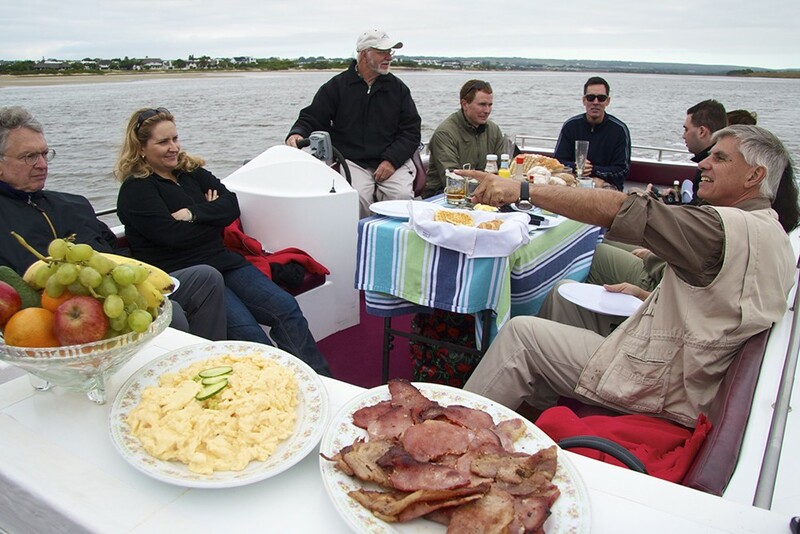 As one American journalist wrote and said: “Your B&B is lovely, and the experience of having breakfast out on the water in the morning was definitely the highlight of our trip.” The sights and sounds which abound will prove to be just that. Whether you take a shorter canal cruise or one encompassing the canals and the Kromme River, it will be an unforgettable experience.